Ships Monday, April 22 if ordered in the next 2 days, 21 hours and 46 minutes! The HANNA HI 764 Checker HC bridges the gap between simple chemical test kits and professional instrumentation. Chemical test kits are not very accurate while professional instrumentation can cost hundreds of dollars and can be time consuming to calibrate and maintain. The HANNA HI 764 CheckerHC is accurate and affordable. Hanna Nitrite Checker, Ultra Low Range HI764. The HANNA HI 764 Checker®HC bridges the gap between simple chemical test kits and professional instrumentation. Chemical test kits are not very accurate while professional instrumentation can cost hundreds of dollars and can be time consuming to calibrate and maintain. The HANNA HI 764 Checker®HC is accurate and affordable. 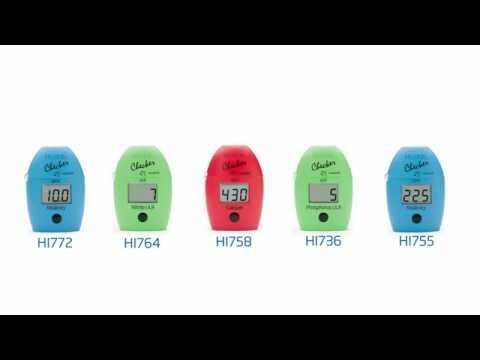 The HI 764 Checker®HC portable handheld colorimeter features a resolution of 1 ppb and uses an adaptation of EPA Diazotization method 354.1. The contoured style of this Checker®HC fits in your palm and pocket perfectly and the large LCD is easy to read. The auto shut-off feature assures the battery life will not be drained if you forget to turn it off. The HI 764 Checker®HC is extremely simple to use. First, zero the instrument with your water sample. Next, add the reagent. 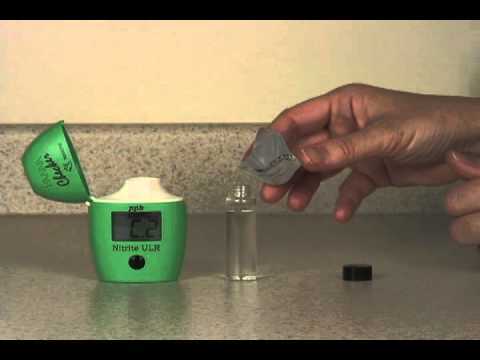 Last, place the vial into the HI 764 Checker®HC, press the button and read the results. It’s that easy. HI 764 Checker®HC is supplied with sample cuvettes with caps (2), powder reagents for phosphorus (6), battery and instructions. Method Adaptation of EPA Diazotization method 354.1.